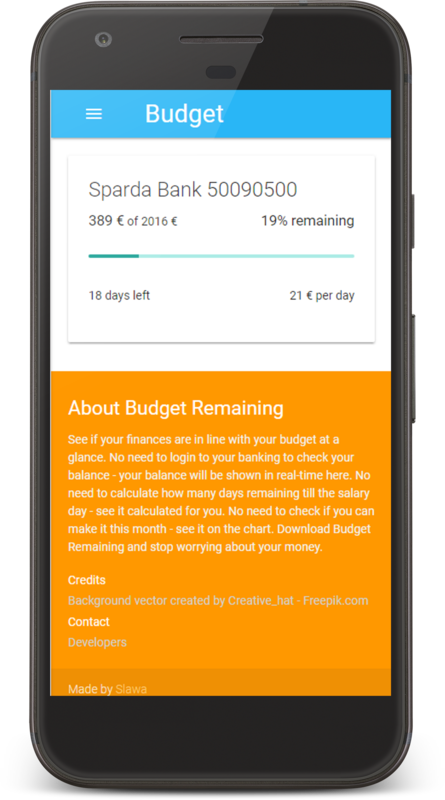 Download Android App and keep your budget under control. See if your finances are in line with your budget at a glance. No need to login to your banking to check your balance - your balance will be shown in real-time here. No need to calculate how many days remaining till the salary day - see it calculated for you. No need to check if you can make it this month - see it on the chart. Download Budget Remaining and stop worrying about your money.